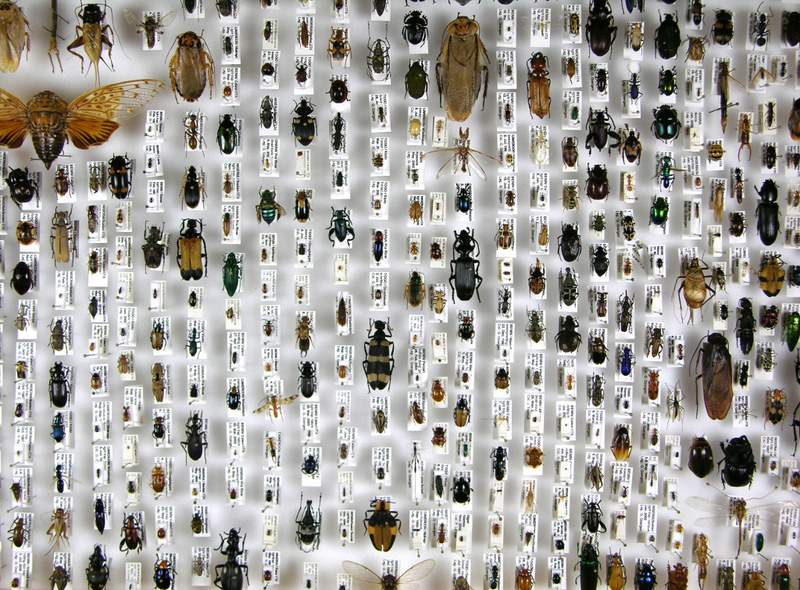 Insects represent the majority of living organisms on Earth, accounting for about two-thirds of all creatures and filling many niches in both terrestrial and aquatic ecosystems. They play an important regulatory role, but some can become notorious pests of agricultural, medical, and veterinary importance. In Africa where much of the planet’s insect biodiversity occurs, rapidly accelerating human activity has contributed to the introduction and spread of invasive pests. IITA’s work with national and international partners on identification and observation of insect species is, therefore, important to control the spread of these invasive species. IITA has already developed a strong regional capacity in biosystematics through the West African Network for Taxonomy part of BioNET INTERNATIONAL. Furthermore, our Biodiversity Center at IITA Benin has amassed one of the largest reference collections of arthropods and microorganisms in West Africa. As an insect identification hub, the Center plays the role of ‘gatekeeper’ by discovering and monitoring invasive pests in the region, and using the resulting information to help locate promising natural antagonists. It also helps scientists to unravel and conserve the rich diversity of African insects. IITA has directly contributed to the discovery and description of more than 120 arthropod species previously unknown to science. Among them are important pests and their natural enemies. The Center in Cotonou is, therefore, the most important non-plant collection of CGIAR, holding 350,000 preserved insect specimens and more than 30,000 mite slide mounts, almost half of all known arthropod biodiversity in the subregion. About 6,000 insect species from 330 families and 250 mite species have already been identified, including key agricultural pests like the African invader fruit fly and the papaya mealybug. For scientists, farmers, biosecurity agents, and quarantine authorities, accurate and timely pest identification is key as it gives them immediate access to existing information about an organism before a situation escalates. Opportunities in West Africa for identifying arthropods are scarce or nonexistent and fees requested by overseas centers are inaccessible for most local users. IITA, by providing the names of, on average, 1,500 submitted arthropod specimens each year, has been instrumental in responding to regional pest management needs for over a decade. 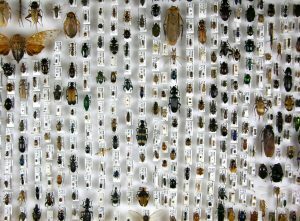 The comparatively young age of the collection also makes it particularly well suited for the application of novel identification methods such as DNA barcoding. IITA has already made important additions to the publicly accessible DNA database set up by the Consortium for the Barcode of Life (CBOL). IITA is further extending our biosystematics services by integrating Geographical Information Systems, an online identification tool that provides high-resolution images of important West African insect species, and by redoubling our capacity building efforts in the identification of agriculturally relevant groups at various academic levels.